The built output of Next Office makes it look easy. During nearly a decade of work the practice has completed a stream of projects — predominantly residential, as well as an industrial showroom and office building — that confidently blend vernacular and contemporary Iranian architecture. 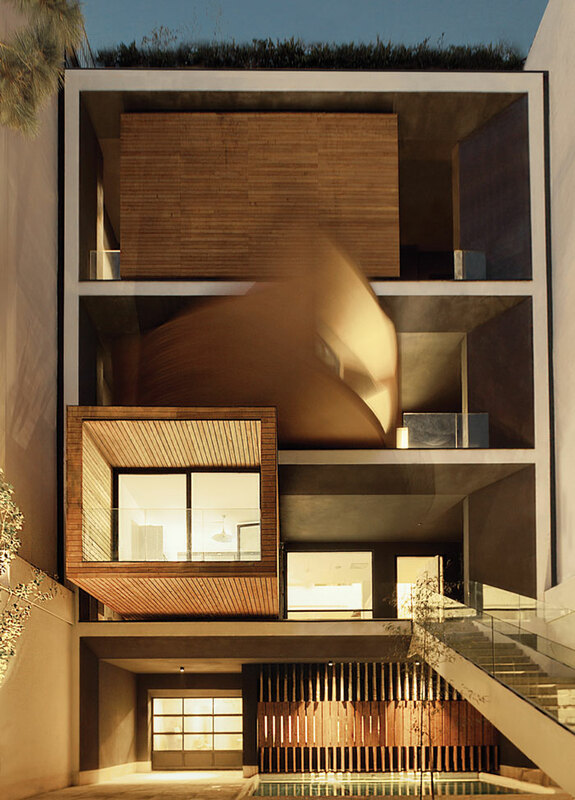 Projects such as the Sharifi-ha House (in Tehran, completed 2013), with its rotating facade elements, engage in intelligent discussion between two typologies that have dominated Iranian architectural history. At Sharifi-ha, these two approaches are blended via Taghaboni’s playful approaches to privacy and openness. The house’s swinging units allow residents to decide how the house presents itself to the street via a mechanical system usually used in car showrooms. At the practice’s forthcoming Guyim Vault House near Shiraz, southern Iran, the public-private frontier is explored via a complex arcade structure and with the intelligent deployment of negative space. The house, due for completion in 2020, experiments with a series of domes to create closed and semi-closed spaces. Nearby, Next Office is also working on the Sadra Artists Forum, where the inside-outside border is deliberately blurred to facilitate the integration of different activities. A sloped rooftop plaza flows up from the surrounding streets, beneath which a large open void forms the so-called ‘art yard’, that leads on to more secluded event spaces. 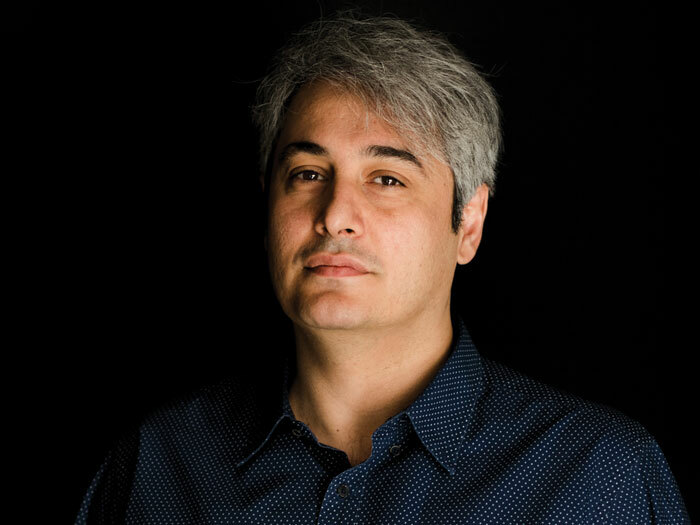 ‘These spaces connect and bleed into each other and the city,’ says Taghaboni, who believes the forum will draw together both families and artist collectives. Unfortunately, the completion date of the Artists Forum is uncertain, owing to the country’s current economic and political situation. Alongside his Next Office work, Taghaboni is a tutor at the Centre for Contemporary Architecture, a private educational institution he co-founded with a group of friends following years of teaching in conventional universities that he found of questionable quality or swayed by overwhelming ideological influence from the government.